The Great White North offers travelers a variety of vacation options, from snowcapped mountains in Banff to the bustling French metropolis of Montreal, and everything in-between. The Great White North offers travelers a variety of vacation options, from snowcapped mountains in Banff to the bustling French metropolis of Montreal, and everything in-between. No matter where you decide to take your Canadian adventure, one thing's for sure -- you'll find plenty of luxurious accommodations. To help narrow down your search for lodging, U.S. News used a comprehensive methodology that factors in star ratings, industry accolades, expert endorsements and visitor reviews. 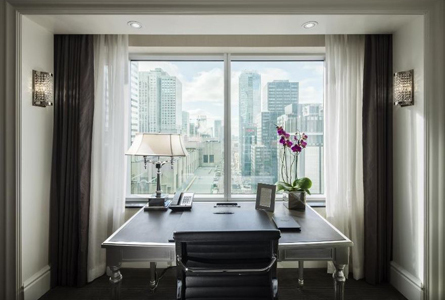 Overall, U.S. News evaluated 218 Canadian hotels and below you'll find the 10 hotels and resorts that received the most praise from hotel connoisseurs and guests alike. 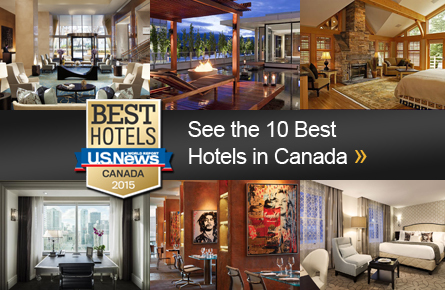 None of these top 10 properties for 2015 are strangers to the Best Hotels in Canada ranking list, with eight returning top 10 veterans and two others consistently ranking in the top 25. These hotels persistently wow travelers with upscale amenities, top-notch service and a sense of individuality that sets them apart from the rest of the pack. 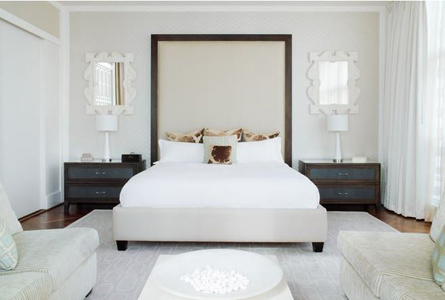 The Ritz-Carlton Toronto, located in the heart of the Queen City, has made the top 10 list for three consecutive years. Though the hotel features many of the same amenities you'd find at other luxury outposts like flat-screen TVs and rainfall showers, other aspects are more unique, such as the more than 400 pieces of original Canadian artwork featured throughout and TOCA Italian restaurant's distinct dishes. But what really sets this Ritz-Carlton property apart is its keen eye for detail and attention to customer service -- aspects that earned it awards from sources like Travel + Leisure and Condé Nast Traveler. Up one spot from last year, the Hotel Le St-James is a household name on the Best Hotels in Canada list: This is the property's third appearance in the top 10. 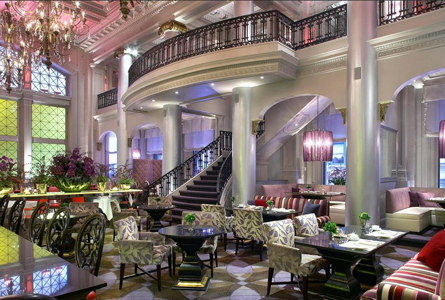 Situated in the heart of Old Montreal in the former Merchants' Bank Building, the hotel nods to its 19th century origins with hardwood antique furniture in each room, but keeps one foot planted in the present with contemporary touches like LCD TVs and iPads for use. Other modern facilities like the Le Spa (located in the former bank vault) and XO Le Restaurant also receive praise from recent travelers. Couple the hotel's Old World charm with its attentive customer service staff and it's easy to see why it earned a AAA Four Diamond Award and was named a Fodor's Choice property and a Lonely Planet Top Pick. Making its top 10 debut in 2015 after ranking No. 22 in 2014, the Sonora Resort offers a unique eco-adventure experience in the wilderness. Located about 120 miles northwest of Vancouver, the Sonora Resort is only accessible by sea or air, but the seclusion doesn't mean luxury is left on the mainland. Spacious guest rooms and suites are spread among a number of themed lodges. Resort activities include everything from kayaking, wilderness tours and fly-fishing to movie-watching at the in-house theater and relaxing at the pool. Guests can also take advantage of the Island Currents Spa, dine on locally sourced seafood or relax in the glass conservatory. And with the resort's Relais & Châteaux affiliation, customer service is the top priority. The Loden Hotel, which moved up from its No. 14 spot in 2014, is a favorite among couples visiting Vancouver. Nestled in Coal Harbour, this boutique hotel positioned a few blocks from downtown provides elegant accommodations and a quiet atmosphere not far from the Vancouver Lookout. The rooms take relaxation to the next level with four-fixture, floor-to-ceiling marble bathrooms with separate soaking tubs, in-ceiling sound systems and a highly praised breakfast buffet at Tableau Bar Bistro. 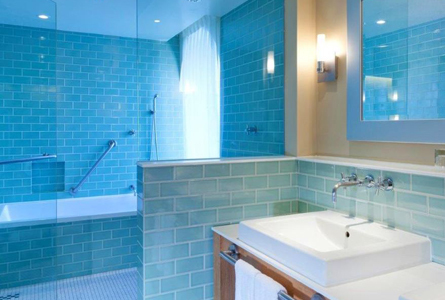 Other amenities, such as the spa suite with an infrared sauna, also earn high marks. But what sets the Loden Hotel apart from its competition is the personalized customer service -- which helped it land a spot on the Condé Nast Readers' Choice and Lonely Planet Recommended lists. Climbing up one spot to No. 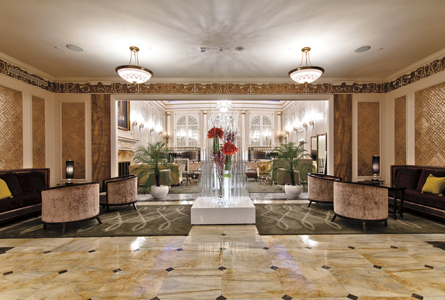 6, the Four Seasons Hotel Toronto made its debut on the top 10 list in 2014. This year it again received the coveted AAA Five Diamond Award for its helpful staff and the high caliber of its amenities, such as the 30,000-square-foot salon and spa and skylit indoor lap pool. Guests are just as impressed with this Four Seasons outpost's accommodations, which are outfitted with iPads, separate seating areas and granite bathrooms with separate soaking tubs. The French cuisine at Café Boulud also earns high ratings from critics and patrons alike. Among the hotel's accolades are the 2014 Forbes Travel Guide Five Star Award and a spot on Travel + Leisure's 500 World's Best Hotels list. Situated on the St. Lawrence River, a short walk from the Notre-Dame de Québec, the Auberge Saint-Antoine is a favorite among guests who appreciate its far-reaching history (the property dates back to the 1600s). Amidst the displayed historical artifacts, you'll find accommodations outfitted with Bose sound systems, Nespresso coffee machines and bathrooms with heated floors and no-fog mirrors. The understated elegance extends to the rest of the property, from the recently renovated Panache restaurant to the well-equipped LeGym fitness and spa treatment center. With its association to the Relais & Châteaux brand, it's no wonder the Auberge Saint-Antoine consistently earns accolades from venerable publications such as Travel + Leisure and Concierge.com. Clocking in at No. 4, this Fairmont property is popular among business and leisure travelers alike because of its convenient location near Vancouver's convention center and cruise ship port. Guests are impressed with the spectacular harbor views, not to mention the five-star service throughout the hotel, particularly at the ORU restaurant and Willow Stream Spa. The modern and stylish accommodations feature iPads and marble bathrooms with in-mirror televisions. The rooftop pool and hot tub, with ample cabanas for lounging, are also guest favorites. What's more, the Fairmont Pacific Rim has earned accolades from Frommer's, Travel + Leisure and Fodor's, among others. If you're planning a trip to North America's fourth largest city, there's no better place to stay than this Trump property -- it's the No. 1 hotel in Toronto for the second year in a row. Guests are impressed time and again with the 65-floor tower, from the floor-to-ceilings windows that overlook downtown to the 15,000-square-foot Purebeauty Salon & Spa. Add to that great hospitality from a well-trained staff, and it's easy to see why the AAA Four Diamond Award-winning and Lonely Planet Top Pick hotel keeps guests coming back. The Rosewood Hotel Georgia, sitting comfortably at the No. 2 spot for the third consecutive year, offers a modern version of the historic hotel that opened in 1927. This Rosewood property prides itself on contemporary accommodations featuring Italian linens and spa bathrooms with heated floors. The hotel also takes its other amenities to the next level with an indoor saltwater pool, a full-service spa and multiple dining options, including the Reflections Outdoor Restaurant and Lounge located in the hotel's inner rooftop courtyard. Equally impressive: the hotel's impeccable customer service staff, which earns high marks for anticipating needs before guests even make requests. Traveler sentiment is echoed in the industry accolades it's received, including being named one of Travel + Leisure's 500 World's Best Hotels. For the second year in a row, the Ritz-Carlton, Montreal has captured the title of Best Hotel in Canada and it's no surprise why: The hotel is a gem for its central location alone. Set in downtown Montreal, the property not only features stylish decor and luxurious amenities, including a greenhouse, an indoor pool and a French restaurant from celebrity chef Daniel Boulud, but the Ritz-Carlton, Montreal also earns praise for its staff's attention to detail. Visitors say this Ritz-Carlton is a cut above the rest thanks to the employees that go out of their way to meet guests' every need, earning it the top spot on this list as well the AAA Five Diamond Award and a place on the Condé Nast Readers' Choice List.